It’s that time again, the time where I get to gush over these ladies and their tremendous help with my newest pattern Madrona. These ladies are so much more than just testers to me, they have all become friends as we work together on patterns over and over. I am so excited to share these pictures with you because so many of these ladies are in different parts of the world so you get to see how it is styled for those of us freezing and the lucky ladies staying warm. Here are the lovely ladies that are a part of the Madrona Tester Roundup. Diane has me dreaming of warm weather with her Madrona. 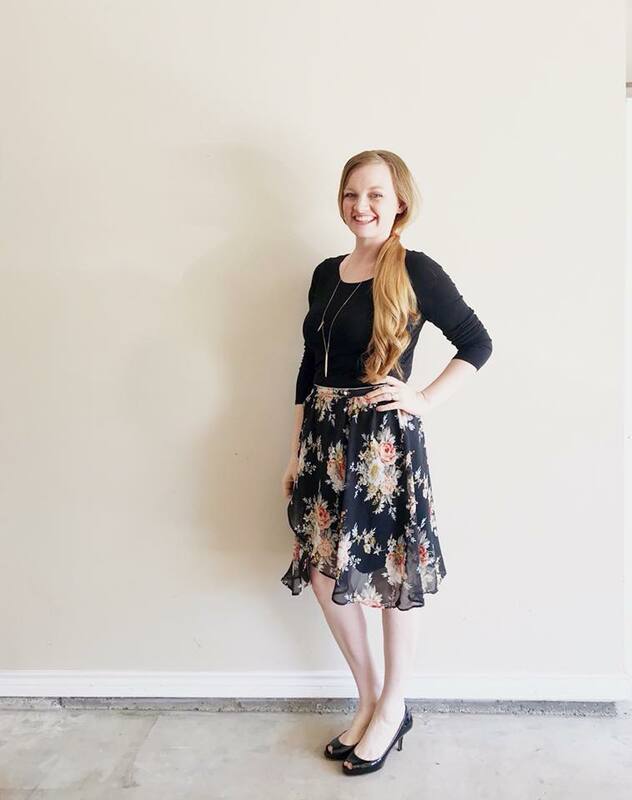 The fabric she chose paired with a simple black tank and fun sandals is the perfect dressed up look. 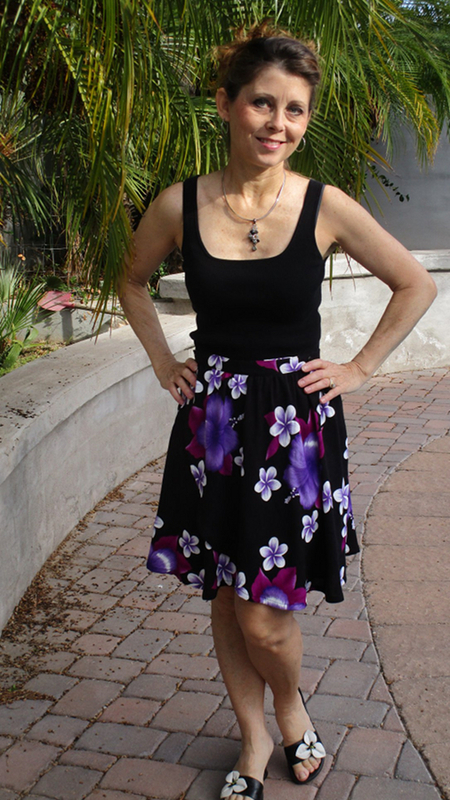 Diane upcycled a beach wrap for this skirt and due to fabric limitations shortened the pattern by 3″. The end result is fantastic though. 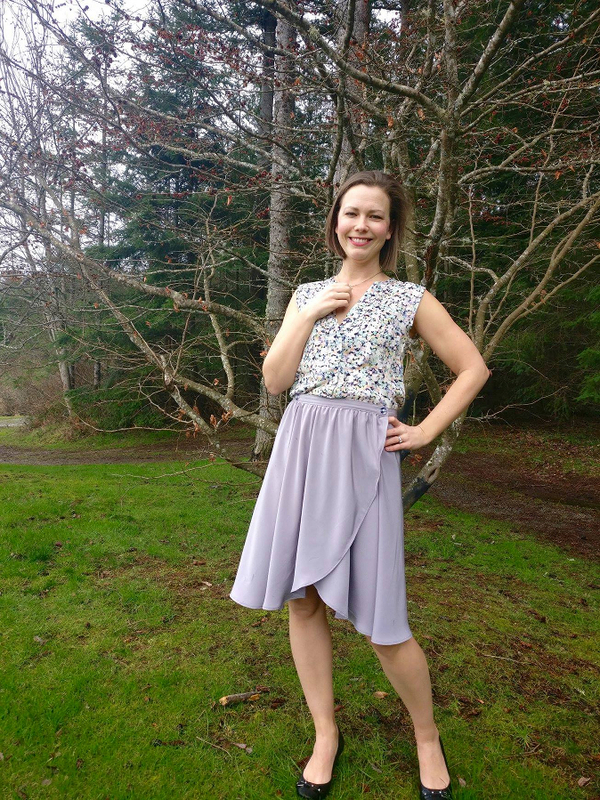 Rudy sewed up her skirt in this viscose rayon that has little dandelions on it. I love how Rudy shows how she can wear the skirt while the weather is still cold in her part of the world. 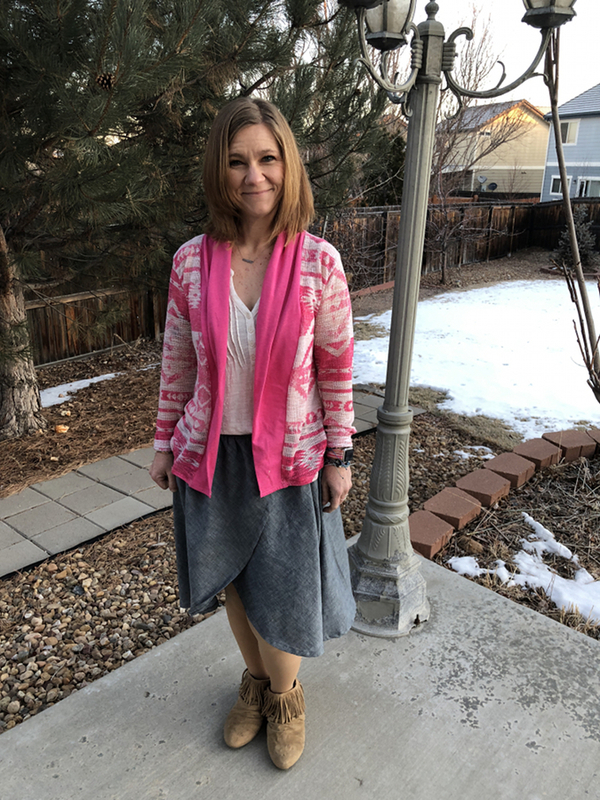 Tights and a sweater look so great with this skirt, and hooray for finding ways to enjoy a new skirt when it is still a bit cold out. To get the full scoop on Rudy’s skirt check out her blog here. 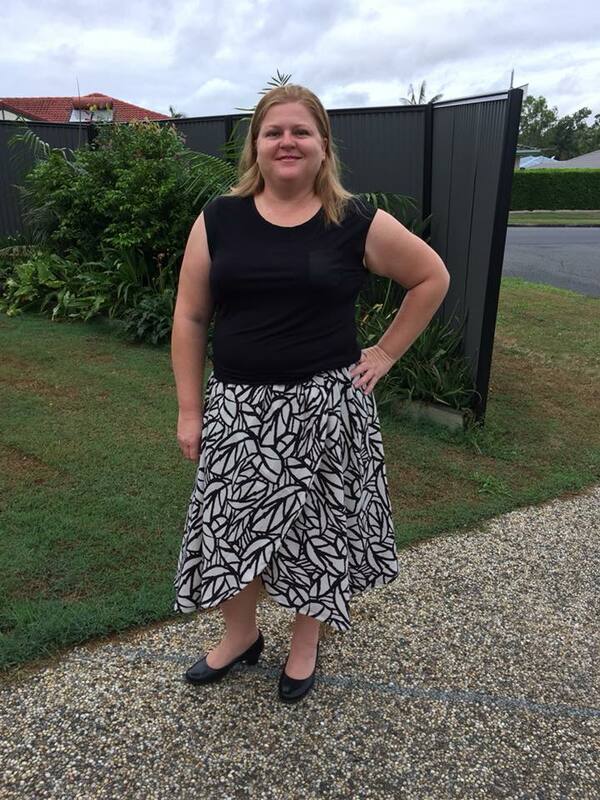 Michelle picked such a beautiful bold print for her skirt and I love how she styled it with a plain black tee. This look could easily be dressed up or down. When I saw the pictures of Alexis’s skirt I squealed a bit because that knotted tee with her skirt is perfection. I love the colour and fitted silhouette paired with the floaty skirt, man she looks amazing! Terri made her version in a sheer poly that shows off the floaty layers beautifully. 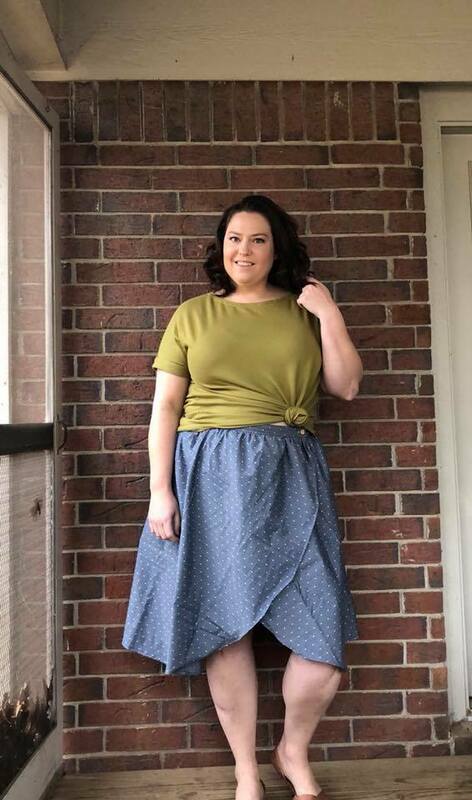 To keep from showing the world everything 🙂 Terri added a lining that just ups the wow factor of this skirt. Every time I see this picture I am reminded that I want to make one in a similar fabric, basically I just want to copy Terri’s whole look. 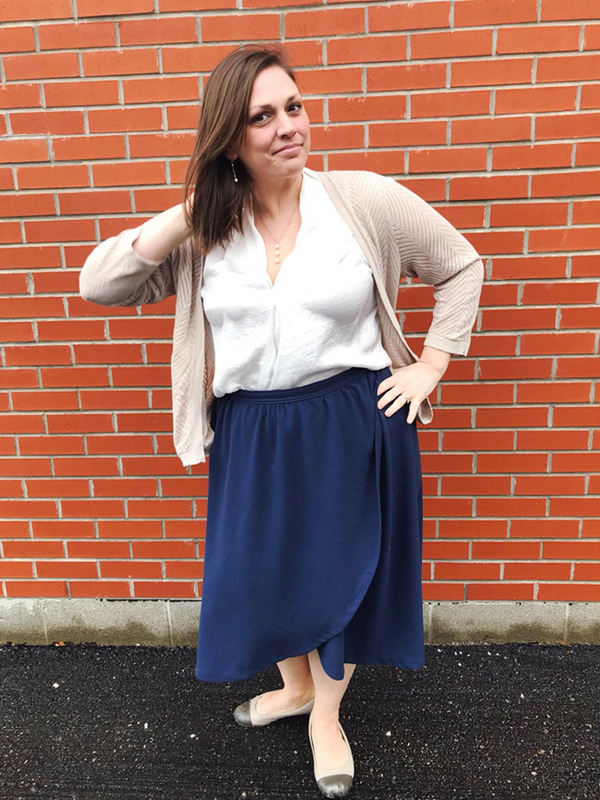 Krisha had me speechless when she sent me a quick fit photo of this skirt. The fabric colour and drape is everything I didn’t know at the time I wanted for this pattern. It is screaming spring even if the weather doesn’t want to cooperate. 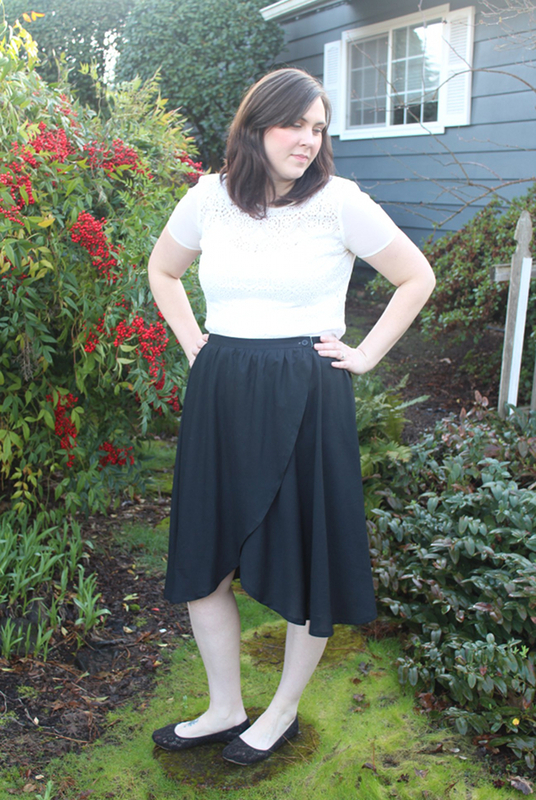 Cat sewed up her Madrona in this perfect black tencel rayon and paired it with a crisp white top. The high contrast is so striking. Emiko is a new to me tester and I am just so happy to have her in the group. Emiko got a perfect fit on her skirt and it looks so great with an elbow length turtleneck. She has me dreaming of making my own black Fauntleroy to pair with one of my new skirts. Katie also went for a bold black and white print for her skirt. Paired with a tee and some sandals you have the perfect running around town look that can easily be dressed up. I always love when Victoria sends me pictures for the tester roundup because I know they are going to be perfect. 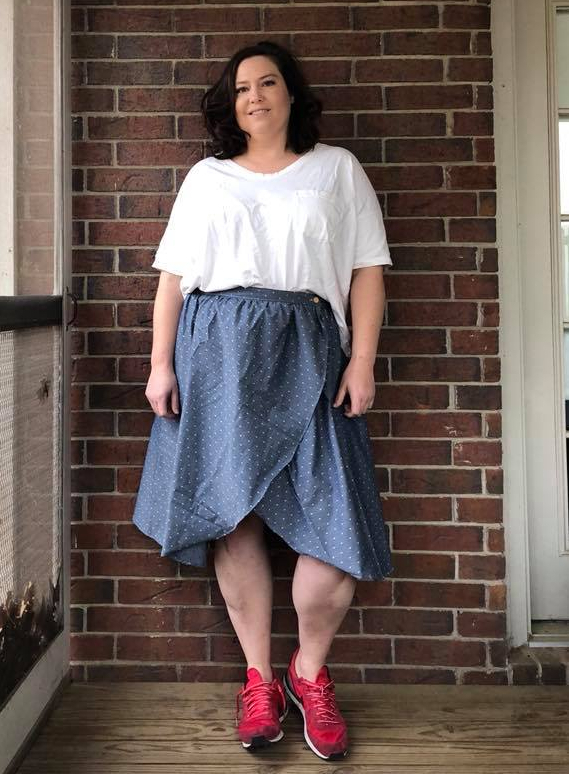 I never would have thought to style my skirt this way yet it is the cutest outfit ever. I feel like I need to have Victoria get me dressed because this girl has style. I am actually inspired to look through my closet for ways to style my skirts with the weather still so chilly. 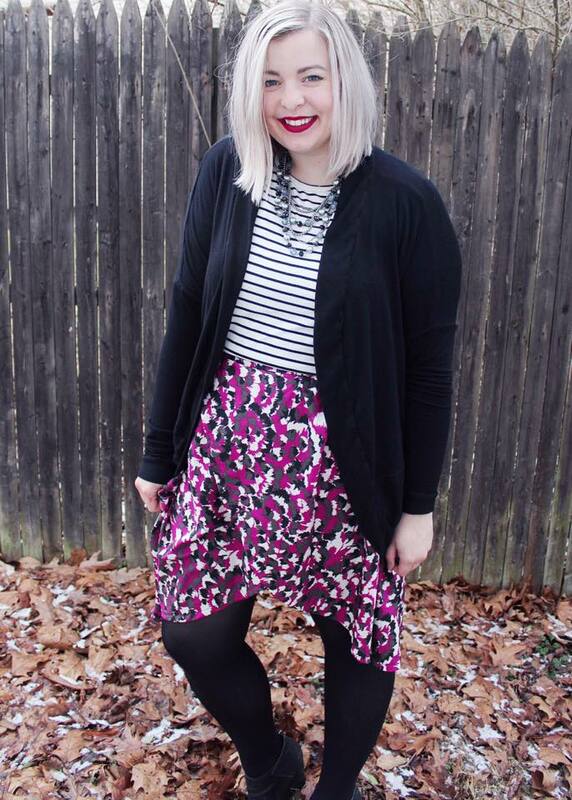 The bold print of the skirt paired with stripes and a simple black cardigan are so good, and don’t even get me started on that lipstick! 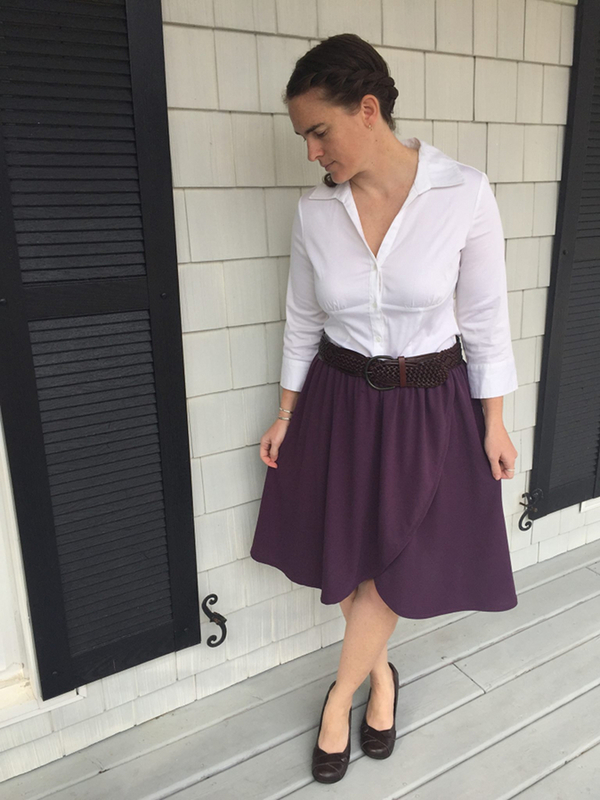 I love that Kristin decided to sew her skirt up in knit, such a beautiful deep rich colour too. The belt over the waistband is such a fun addition. 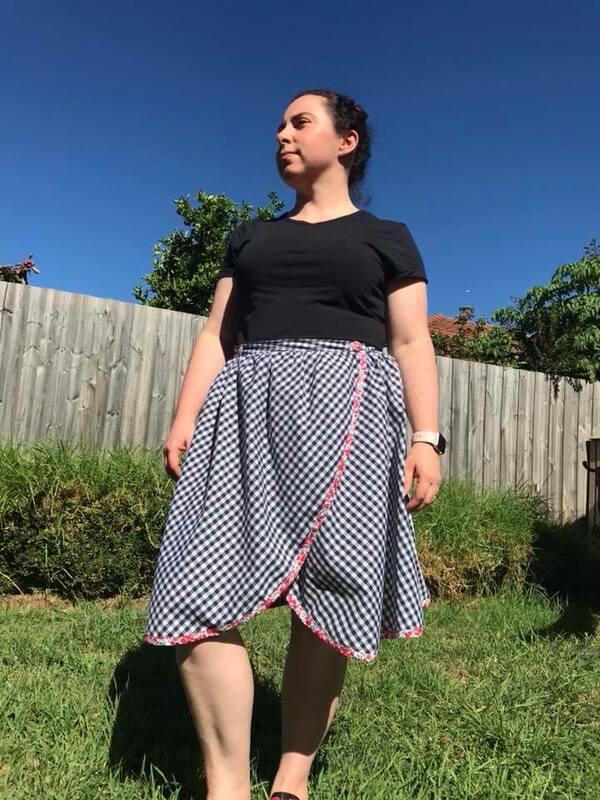 Alice took the opportunity to play withe her skirt a little bit by using a contrasting fabric at the hem and even made her own fabric covered button. This fabric has me thinking of summer days, such a fun combination of fabrics. Jen took a gamble by using her good fabric for her test version and the risk payed off. This dark blue rayon crepe looks so lovely on her and I know it will serve her well through the seasons. I really love how she paired it with this beige cardigan, the texture of the cardigan goes so well with the drape of the skirt. Andie sent these pictures with the disclaimer that she is no model and her husband is no photographer, but I beg to differ. Everything about this picture is fantastic. 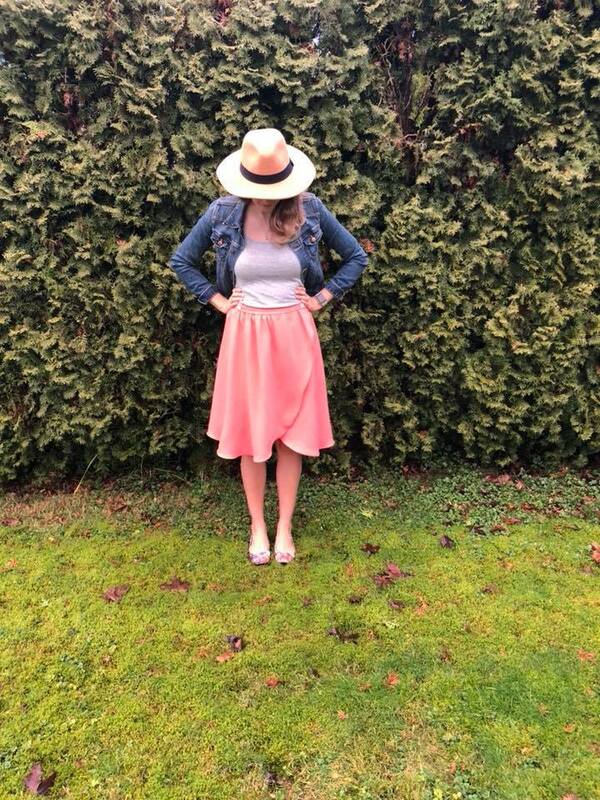 The beautiful skirt paired with a simple fitted tee, jean jacket and hat. The whole outfit is striking! 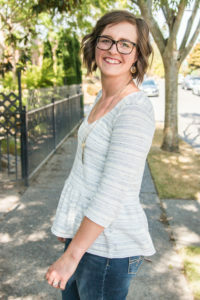 Crystal is a girl after my own heart with this light wash chambray shirt paired with her jacquard Madrona. Crystal prefers to wear her skirt lower on her waist so to keep the proportions she simply shorted the skirt by an inch. Thanks to the buttons at the waist it is completely customizable to fit your body and where you like to wear your skirts. Snow on the ground wasn’t going to keep Amy from wearing her new chambray Madrona. Fringe booties and a bold bright cardigan make this skirt work regardless of the weather. I think Chambray is the perfect neutral for any wardrobe. 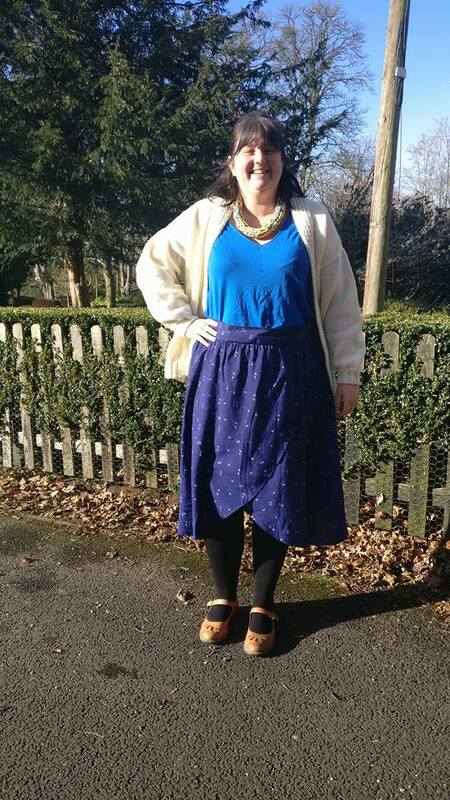 Such amazing versions of the Madrona skirt featuring ladies of all shapes and sizes. I hope that seeing all these ladies has inspired you to make this pattern as well. Make sure to get your copy of Madrona while it is marked down through Friday.